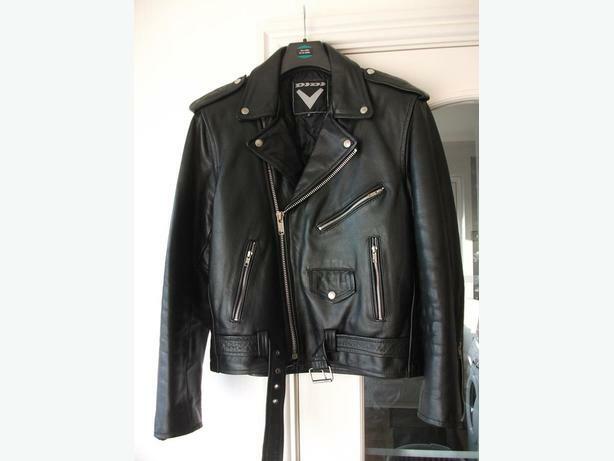 Mens black leather biker jacket. Classic Brando style. Size says small but fits more like small / medium. Excellent condition - has hardly been worn. All zips, buckles and studs etc in excellent working order. A really nice jacket.